Tomorrow is an important day for Japanese girls. 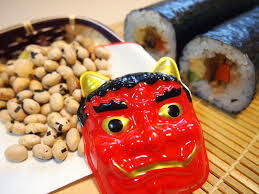 On March 3rd, we celebrate our Girl’s Festival called “Hina-matsuri”. 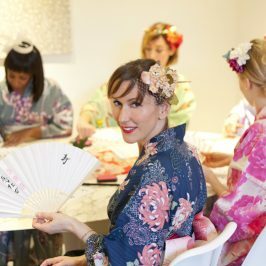 It’s also known as the “Peach Tree Festival” because the flowers bloom around that time. The festival is held to pray for girls’ health and happiness. 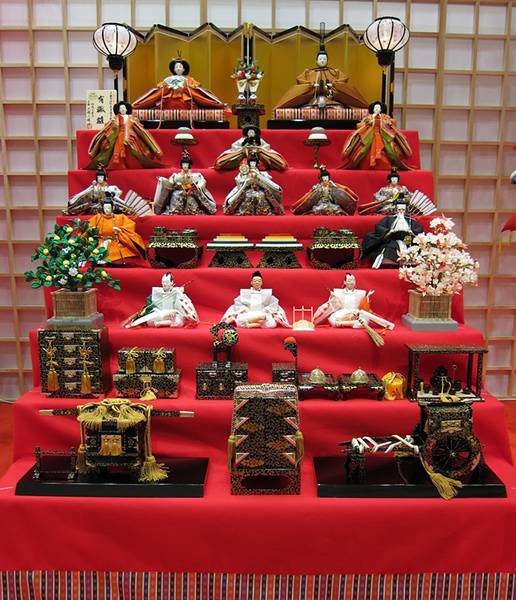 Families display beautiful doll sets, peach trees, shiro-zake (white sweet rice wine) and hishi-mochi (diamond-shaped rice cakes) for their daughters. 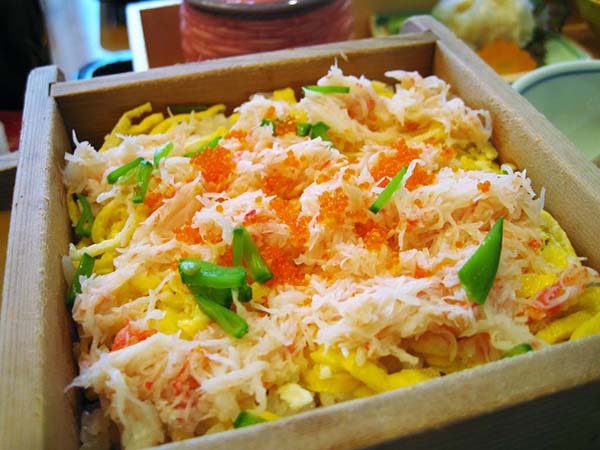 We have a gorgeous food on that day like Chirashi-zushi. This festival has a long tradition. It is said that the origin is in Edo era (1603-1867), but noble girls in Heian era (794-1192) had already played with such kind of dolls. 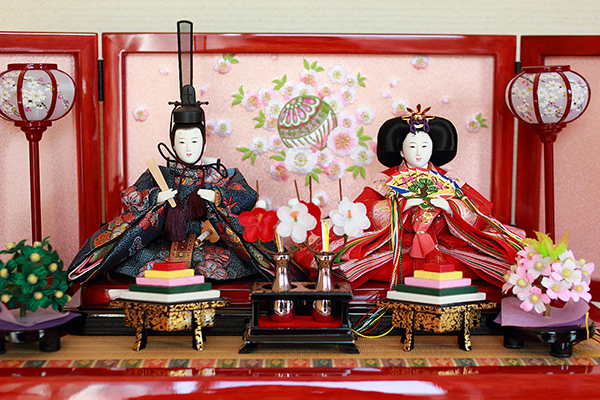 So, the dolls of today’s Hina-matsuri wear costumes of Heian aristocrats. 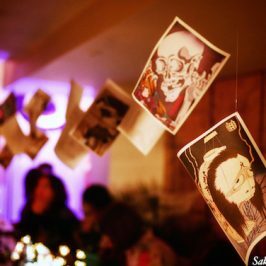 Let’s have a look at each doll’s feature! Normally, the red steps are 5 or 7. 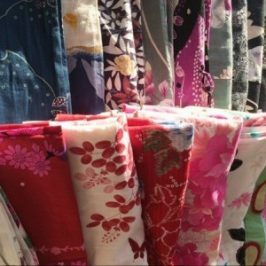 Odd numbers are regarded to be good luck in Japan, so this festival is on 3rd March, and the boy’s festival is on 5th May as well. Obviously, the first pair of two dolls on the top stage is the emperor and empress. The three dolls on second stage are the ladies-in-waiting, and the five dolls on next step are musicians. On the fourth step, there are two ministers, and three servants on the fifth step. Actually, sometimes there are some more steps and dolls, but 5 or 7 steps are the standard sizes for families. 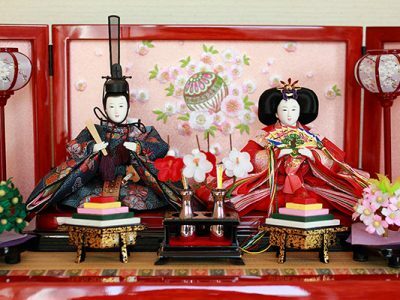 After the festival, we have to put the dolls away as soon as possible because tradition says that if we display them after 3rd March, the marriage of girls will be delayed…! A Big Group of Hen Party?